The projects are just two of several schemes which form a small, but important part of improving the Island’s road network. The Isle of Wight council, in partnership with Island Roads, will shortly be carrying out two essential footway improvement works in Seaview and Gunville, both beginning 29 February. The works at Seaview will take place at Bullen Road between Pondwell Close and Gregory Avenue and are estimated to take a total of four weeks. 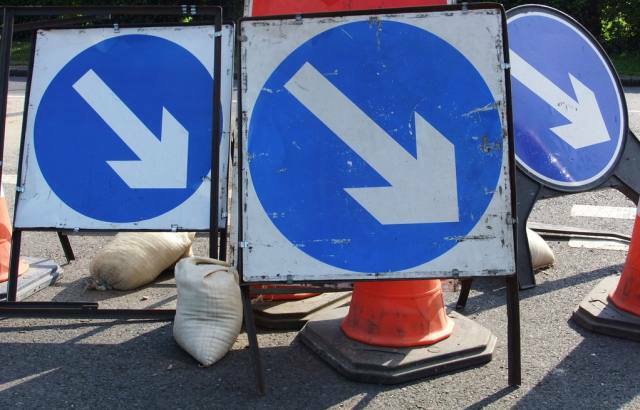 To keep people safe, temporary traffic signals and barriers will be placed around the works for three weeks and a full road closure in place to enable tree felling for a few days when a diversion via Marlborough Road, Appley Road and Calthorpe Road will be in place. The project will involve the construction of and improvement of a footway linking Pondwell Close with Gregory Avenue and traffic calming measures. The existing tree on the corner of Pondwell Close and the highway hedge located at the beginning of Gregory Avenue will be removed to enable the new footway improvements. Work to install a planned zebra crossing in Gunville Road, Carisbrooke has been brought forward and will last until the week ending 20 March. The project will remove the existing uncontrolled crossing and construct a new wider zebra crossing. As a result, the area under construction will be subject to two way temporary traffic signals, with the works taking place on one side and then the traffic management will be flipped over so that works on the other side can take place. “As part of the commitments undertaken in our Local Transport Plan, in partnership with Island Roads, I am looking forward to seeing the improved, safer traffic calming measures and the enhanced footway once they are completed. “These projects are just two of the several schemes nominated as part of the council’s Local Transport Plan and forms a small but important part of our aim, in partnership with island Roads, to improve our Island’s road network. The works are being undertaken by Island Roads in partnership with the Isle of Wight Council, as part of the large scale project begun in April 2013 to upgrade and maintain the Island’s highway network. 2 Comments on "Gunville and Seaview to benefit from footway improvements"
Can anyone please confirm whether the pinch point outside the Friends of the Animals shop (put there when a Spar shop) will be removed now a zebra crossing will be in place at the new Spar shop? It seems to me it would help the flow of traffic if it was removed.